Metro Detroit Youth Day, a summer staple for metro Detroiters, is returning to Belle Isle on Wednesday, July 9. The 32nd annual Youth Day event will welcome more than 34,000 youngsters to the athletic fields for a day of fun, learning and camaraderie. This year, Youth Day will feature sports clinics, education stations, entertainment and workshops for students focused on anti-crime, anti-bullying, health and wellness, and entrepreneurship. The popular College Row area is returning to provide opportunity for students to visit with and learn more about Michigan’s colleges and universities. Local legends and performers, as well as kids 8 to 15 years old will provide centrally located entertainment at the Pepsi Stage. A truly amazing display of community organizations and individuals working in concert, Metro Detroit Youth Day is made possible by the men, women and children throughout metro Detroit who come together to support area youth. 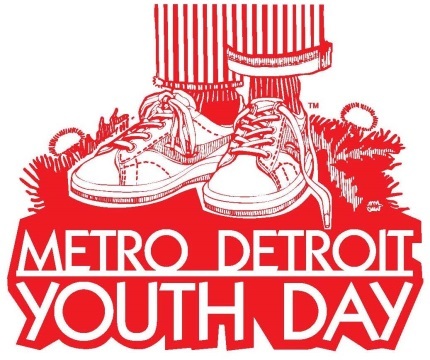 More information about Metro Detroit Youth Day can be found atwww.metrodetroityouthday.com or on Facebook.